ByNets is a non-commercial project which aims to join all sorts of IRC networks in Belarus, providing a common communication platform for universities campuses, libraries, student halls and companies. 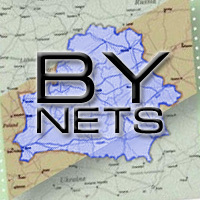 ByNets was founded in 2004. You can reach the ByNets IRC network by using a traditional IRC Client of choice. ircs://irc.bynets.org:6698 for SSL with UTF-8 encoding (alternative port: 6669), IPv4 and IPv6. irc://irc.bynets.org:6668 for non-SSL with UTF-8 encoding, IPv4 and IPv6. ircs://irc.bynets.org:6697 for SSL with CP1251 encoding (alternative ports: 5190, 9944), IPv4 and IPv6. irc://irc.bynets.org:6667 for non-SSL with CP1251 encoding, IPv4 and IPv6. SSL is supported on all of our servers. The server certificates are signed by the Let’s Encrypt certification authority. We offer IRC services (NickServ, ChanServ) for nick and channel registration. If you have support requests regarding the operation of the network please stop by #help or email angor@bynets.org. We have started the website afresh, using Jekyll and a Bootstrap-based template, using the OFTC’s website as a base.